The year is 1635, and Mary Williams and her family live in the Massachusetts Bay Colony. Her father, Roger, is on trial for preaching new ideas about freedom. When found guilty, he flees into the cold, telling Mary that she must trust in God's providence to see him to safety. 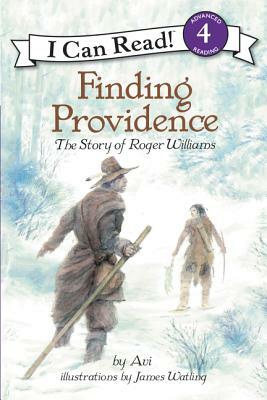 Roger's only hope of survival lies with the Narragansett Indians. Will Mary ever see her father again? Avi is the highly respected author of the Scott O’Dell Award winning The Fighting Ground and the Newbery Honor Books The True Confessions of Charlotte Doyle and Nothing but the Truth. A former resident of Providence, Rhode Island, Avi now lives in Boulder, Colorado. James Watling has illustrated many children’s books with historical themes including The First Thanksgiving by Linda Hayward. He lives near Montreal, Canada.